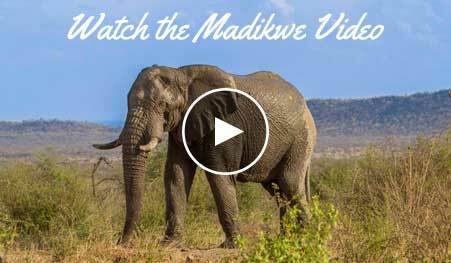 The land where Madikwe Game Reserve now stands was previously used as farming land. The poor soil meant that farming was mostly unsuccessful and the South African government then decided that it would best be used as a national park to help economically uplift the disadvantaged area.. The Big 5 is represented in the park and you are likely to spot a lion, leopard, elephant, rhino or buffalo during your stay. 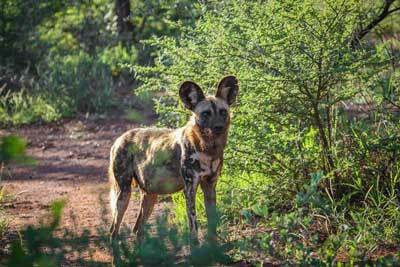 During your visit you will also have the rare privilege of possibly seeing the highly endangered African Wild Dog. In 1994, a small group of six wild dogs were introduced into the park. This founding group has seen a challenging introduction into the park with rabies outbreaks, territorial clashes and encounters with some feisty lions.